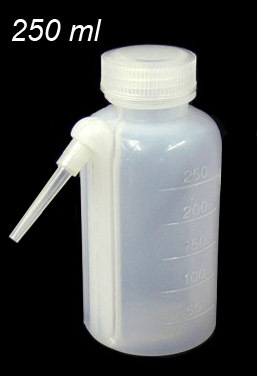 One-piece Wash Bottle - fabricated from low density polyethylene (LDPE). The bottle is cast with a built-in delivery tube making it a sealed one piece unit. This eliminates any potential of the tube coming loose or leaking. 250 ml capacity, embossed with graduations in ml.